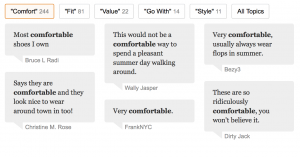 The Best Shoes for Travel? – Sanuk for travel anywhere and for getting through TSA lines in style (and for comfort)! You may never take them off again…Or just long enough to wash them in the sink. Sanuk (http://www.sanuk.com) may have the best travel shoes in the world for beach or shower or a night on the town. One of the biggest issues when traveling is what to pack, and the biggest challenge when packing is always: Shoes. 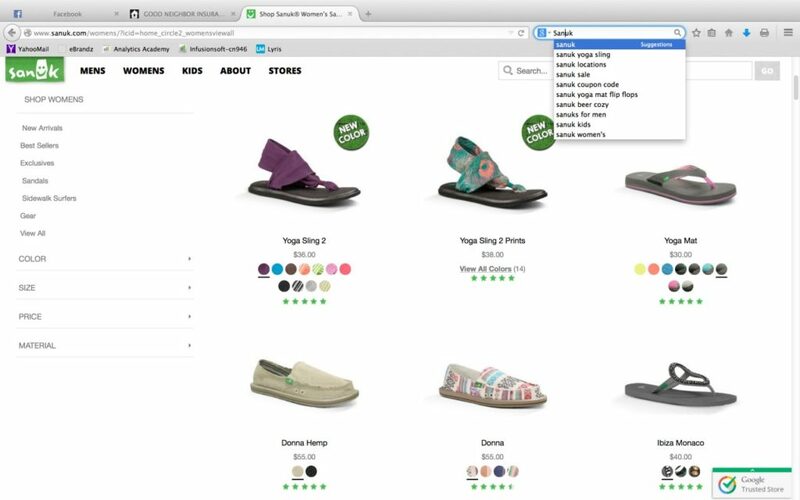 How many pairs, colors, styles, dress up, beach, hiking, and more…? There is also the issue of baggage, and weight, since shoes take up a lot of space. And whether your footwear will get scuffed up or even destroyed or lost in transit. Well rest easy, one big question mark will no longer bedevil you – Immediately go to http://www.sanuk.com or www.amazon.com and purchase a pair of “sidewalk surfers.” Built on a rubber sandal base, their shoes have a quick drying canvas upper that dries fast, pack very flat, have an extra comfortable fit, clean up easily, are tough and look good all at the same time! No more flip flops that break on you while walking to the beach, or having a good pair of leather shoes get wet or struggling with laces in the TSA line at the airport! Two years later, I now own four pairs of Sanuks in different colors for different outfits/clothes! I would never ever part with them. (Did I say ever” yet?) A pair goes into every bag I pack and I wear them every week to work or around town on the weekends. I have yet to wear out a pair, even with washings in the sink, throwing them in the washing machine,…they are indestructible. What’s more, for the pool or beach – no more broken flip flops! (How many times has that happened to you, always at the worst possible time?!) I literally cheered for the workers at the brick-and-mortar Sanuk store on a trip to Downtown Disney in Orlando. And I NEVER do that. Original post (2014): I recently purchased a pair of Sanuks, not really believing all the hype about them and figuring they were too expensive to justify. However I recently tested them on a trip from Arizona to Colorado, which featured: A wedding (worn for rehearsal), a long car drive, some whitewater rafting (with Class III rapids), numerous hikes including the Garden of the Gods, hiking down to breakfast at numerous hotels, hanging out at Starbucks, exploring Monument Valley, even working out in the hotel gym! My opinion? I can’t imagine a better, more comfortable pair of shoes for travel or to wear almost anywhere, 24/7! 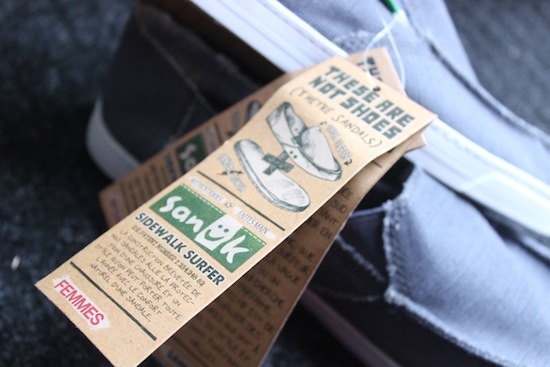 I am completely sold on Sanuk. I should make clear that at some beaches or rivers you wouldn’t want a flip-flop that doesn’t protect the side of your foot and heel (from sharp rocks or stingrays) or that could slip off and float away. 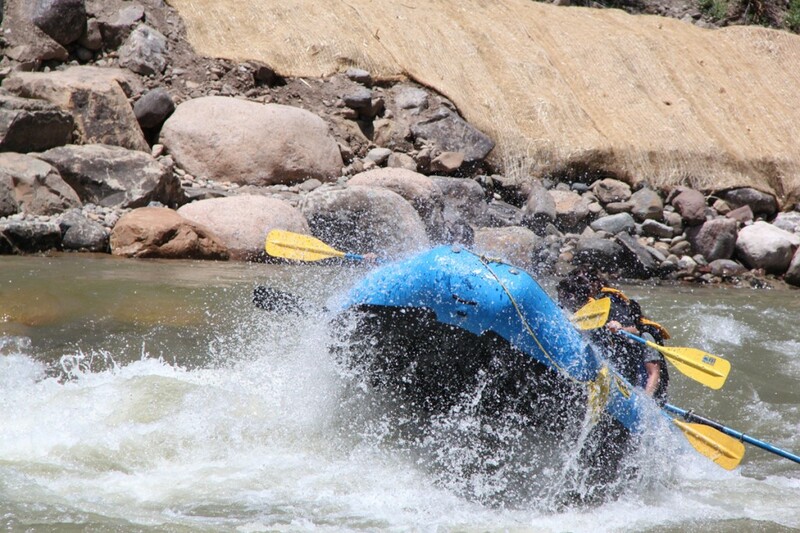 Sanuks are perfect for such occasions and are accepted as footwear by whitewater rafting companies. They are also considered “closed toe” if that is an issue with a tour excursion you are considering. Easy-on, and great for walking around the hotel room in pajamas, you could even shower in them overseas to keep from being barefoot in sketchy bathrooms! They are washable when full of river sand, and dry quickly, have great grip-able soles when wet, look nice at the coffee shop, and can crush/pack flat and are extremely lightweight – but why pack them, when you can wear them on the plane?! Since the canvas tops are sewn to the sole they won’t pull apart. And since the base is rubber, they won’t start smelling bad due to sweat/foot odor, and can be easily washed in the sink as needed and ready to go again within minutes! Best described as a sandal/shoe hybrid like Espadrilles or alpargatas, but of much better quality. Check out a youtube review at https://www.youtube.com/watch?v=uWwCkef4SzY or at https://www.youtube.com/watch?v=8jG_Yix1Zmc. Available in a wide variety of colors and styles, I like the Sidewalk Surfers for both men and women, which are available in a ton of patterns/fabrics. They are also extra wide, which is great because I have wide feet and need a shoe that won’t give me blisters. Lastly, the pair I bought didn’t have laces (some do), and a handsewn upper. This can be left alone to fray a bit and look “cool,” or can be trimmed neatly with a pair of sharp scissors to look “tighter” and more business-like. Either way, they look and perform great. 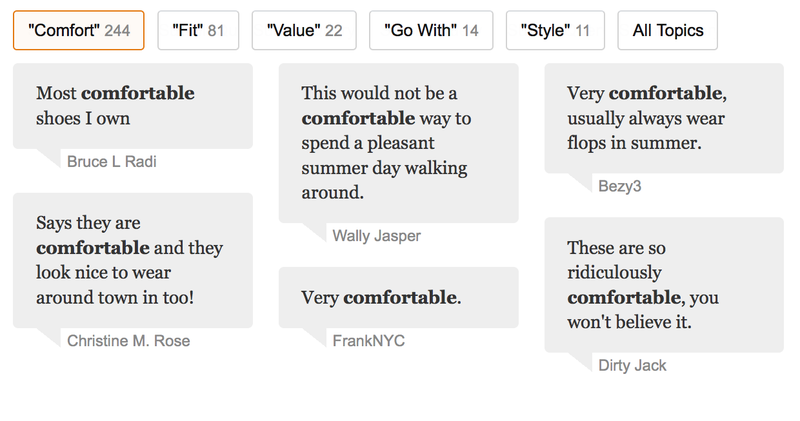 For women, many travelers are also giving high marks to Everlane’s modern loafers (https://www.everlane.com/collections/womens-all/products/womens-modern-loafer-black) which are pricey but may be an option to consider as well. These Sanuks get Five Stars (*****) out of five and a Top Travelwear Recommendation for any trip, vacation stay, adventure sport, quick business trip (when you don’t have meetings), or family holiday. While I think they are a bit pricey at $60., they can be found for $30-40. on sale and are a “best buy” at that price. Besides your ticket, and good overseas insurance, they are the one item you’ll want on your “Do not forget to pack” list. They will quickly become the favorite shoes you own. Even when you aren’t traveling. Guaranteed. Need something a bit more substantial? Hiking? Roughing it when you get there? Try Lems Boulder Boots! Packable, flexible, full foot protection. 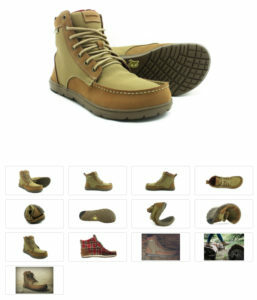 Available for both men and women in four or five color combinations, as you can see from the image on the left, these boots, unlike most hiking boots are able to crunch down, roll up, and be packed into tight spaces. These minimalist boots also feature a wide toebox so they won’t crush your feet. Plus, at just over $100, they are still pretty affordable. Lems is a barefoot running shoe company, so you know that comfort is a priority as is not having seams rubbing awkwardly irritating your foot or causing blisters. When traveling and walking a lot, comfort is my number one concern. The downside? These are not heavy ground-pounders or stiff boots. They have no metal plates or shanks in between the outsole (bottom of the boot or vibram) and insole (padding). Also there is no heavy vibram lug pattern on the bottom. If you need heavier boots, you are just going to have to sacrifice the space and pack them, otherwise, these might be a perfect second pair of shoes along with your Sanuks. To be fair, Sanuk also has boots, such as the Skyline (check it out in the 2nd video below!) and in the past, the Gumbo or even the Stevie. But I have not yet tried out a pair. I LOVE Sanuk. Those who own Sanuks, love Sanuk and are Sanuk fanatics with good reason. But I feel that they are still trying to dial in and nail down their boot offerings.